DC movies have become notorious for their dark and gritty tones, which to some fans doesn't exactly match with the way the characters were written in the comics. 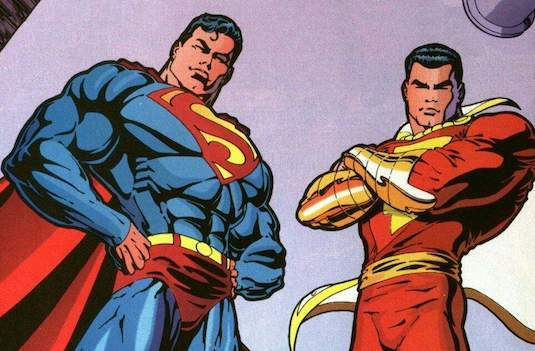 With Superman already having taken this route due to the influence of Zack Snyder, its been a mystery as to just what kind of tone they would use for their adaption of Shazam!. 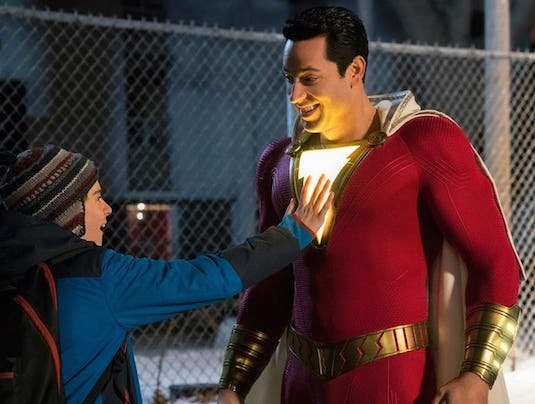 With the story focusing on a young kid who becomes a full grown powerful superhero, and the lighthearted Zachary Levi in the title role, most of us expect a pretty family friendly movie. Well it seems like we'll be getting just that, with the latest trailer for the movie showing us a much different side of the DC universe then we've gotten so far. Comparisons to the Tom Hanks movie Big were pretty much inevitable, and it definitely feels like the movie is channeling this. It seems it'll be dealing a lot with the fun a kid would have if he just woke up with these powers one day, and his interactions with his best friend played by Jack Dylan Grazer who seems to be a big fan of the current Justice League roster (As made evident by his Batman T-shirt and are merchandise in his room). It'll be interesting to see just how much the idolization of those other more accomplished heroes will effect Billy Batson. The mythology of Shazam! stills seems very much intact with the grand wizard being the one who gives him his powers. We also get a look at Batson's foster family who are eventually gifted powers and alter egos of their own in the comics, but its unknown if we'll be seeing any of that in this movie. What will probably disappoint fans most is the lack of Shazam's arch nemesis Black Adam, who will be played the Dwayne The Rock Johnson in the DCEU. 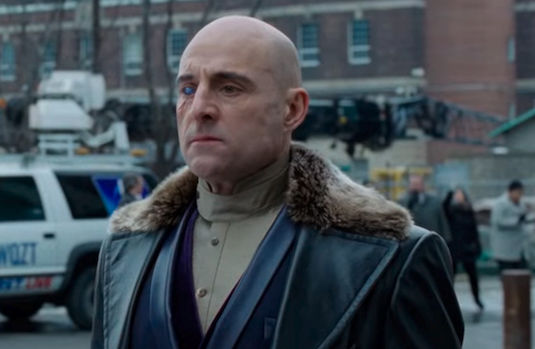 The villain here will instead be Dr. Thaddeus Sivana played by Mark Strong, a character made famous by the recent Geoff Johns run of the character. So what did you thank about the first trailer for Shazam? Are you happy DC went for a lighter tone? Let us know below!